Katavi National Park is the most remote and hardest accessible park of Tanzania. You drive not only on dirt roads, sometimes you have to create them yourself. Despite the many animals come in this 5000 km2 size park only 650 visitors per year, on average less than two per day. But once you’re in Katavi, you will be rewarded with excellent safari opportunities in one of the most pristine wildernesses of Africa. You get the feeling that you have to reserve all to your self. The Katavi National Park is located on a high, wide plain in southwest Tanzania Ugalla between the river and the southeast shore of Lake Tanganyika. The landscape consists of large wetlands (floodplains), open grasslands, savannas and lakes. The nature shows Africa, as it was the last thousands of years. 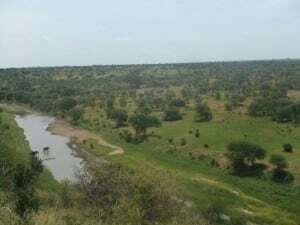 Katavi National Park is the third largest National Park in Tanzania. Katavi The name is derived from the legendary warriors, the Katabi, the locals believe that their spirit dwells in a tamarind tree. This tree is therefore with wreaths hung to implore the blessing of the hunters. During your game drives you will notice that the lions, leopards and hyenas in this park have no lack of food: impalas, topis, antelopes, hartebeest zebra and huge herds of elephant and buffalo grazing in the short-grassy plain. Even bird lovers can enjoy their stay here more than 400 species of birds can be spotted here, so do not forget your binoculars! In the south of the park – at the Lake Chada – you will find the largest concentration of hippos and crocodiles in Tanzania. “Hippo Pools” with more than 40 animals are no exception. Hundreds of hippos floating in the rivers or graze in huge herds on the banks. If by November ends the dry season, the water is mostly dried up and you can see a whole group of hippos lie close together in the last remaining mud. The numbers of crocodiles here are so large that they can not hide. In the park flows Katuma River, which is ideal for spotting the wildlife, but also you can find Lake Katavi and Lake Chada. In the dry season there only remains the Katuma River as a water source for the animals, wherever many elephants are found. 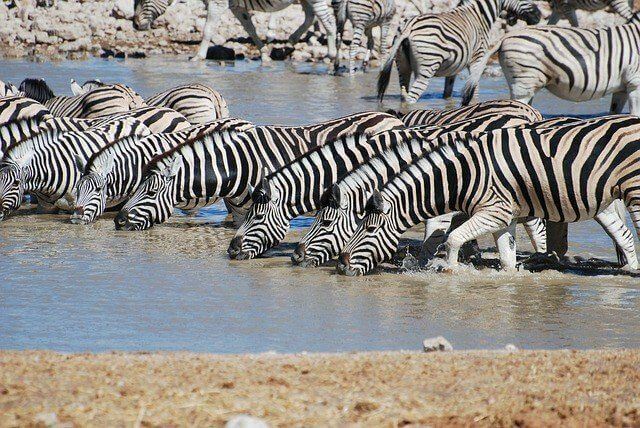 You will also find at that time at the river large groups of lions and spotted hyenas, when shallow muddy river is visited by buffaloes, giraffes, zebras, impalas etc.